COMPOSITION: maize, dehydrated poultry protein, vegetable protein isolate*, animal fats, rice, maize flour, maize gluten, hydrolysed animal proteins, beet pulp, soya oil,minerals, fish oil, yeasts, vegetable fibres, fructo-oligo-saccharides, borage oil (0.1%),green tea and grape extracts (source of polyphenols), hydrolysed crustaceans(source of glucosamine), marigold extract (source of lutein), hydrolysed cartilage(source of chondroitin). ADDITIVES (per kg): Nutritional additives: Vitamin A:29500 IU, Vitamin D3: 800 IU, E1 (Iron): 44 mg, E2(Iodine): 4.4 mg, E4 (Copper):9 mg, E5 (Manganese): 58 mg, E6 (Zinc): 173 mg, E8 (Selenium): 0.1 mg -Technological additives: Pentasodium triphosphate: 3.5 g - Preservatives - Antioxidants. ANALYTICAL CONSTITUENTS: Protein: 30% - Fat content: 19% - Crude ash: 5.3% - Crude fibres: 2% - Per kg: Omega 3 fatty acids: 7.5 g including EPA & DHA: 3 g. *L.I.P. : protein selected for its very high assimilation. My two miniature poodles, now aged 2 years plus, have healthy teeth and coats. Exclusive fed with this product. mini poodle and shihtzu both love the food and their coat looks better than ever. 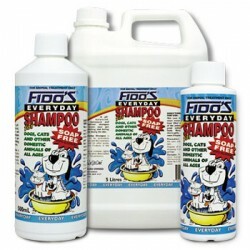 My toy poodle has been eating this product for 18 months now which was when he was old enough. I highly recommend it. He doesn't need anything else in this diet and he has morning and night feeds. It lasts for nearly 3 months when the correct dosage is given to him. Thank you.